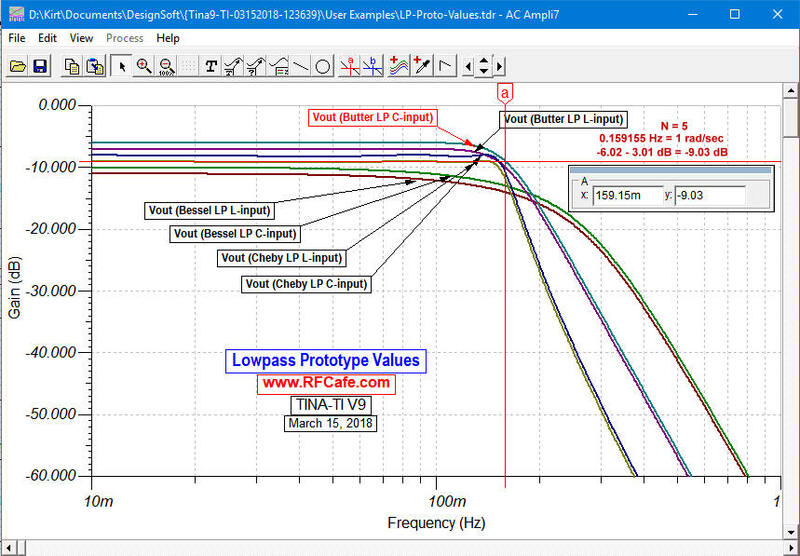 This entire page has been reworked to make the denormalization of prototype lowpass filter component values much easier to understand. 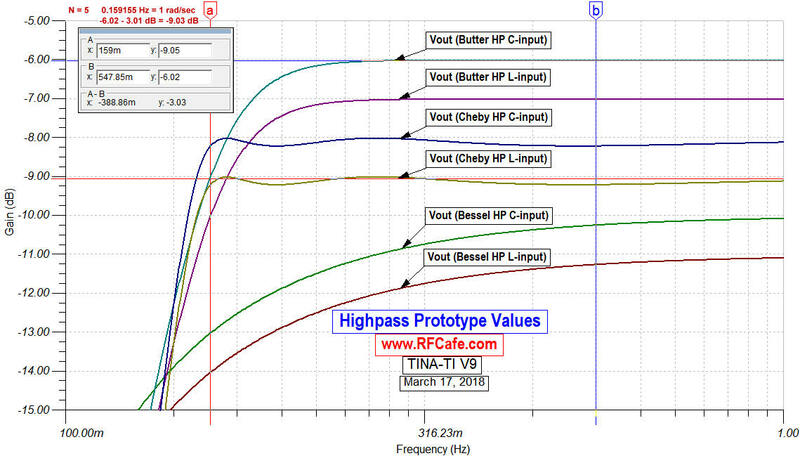 I have received numerous questions about the process over the years, particularly regarding the swapping of capacitor and inductor values for highpass transformations. 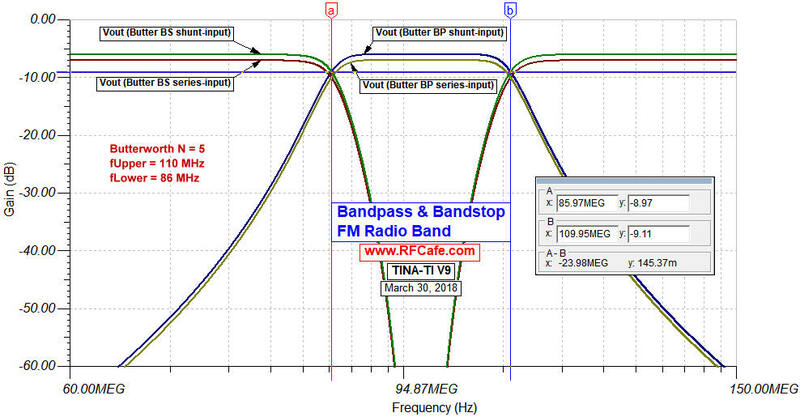 Bandpass and bandstop transformations can be equally confusing. 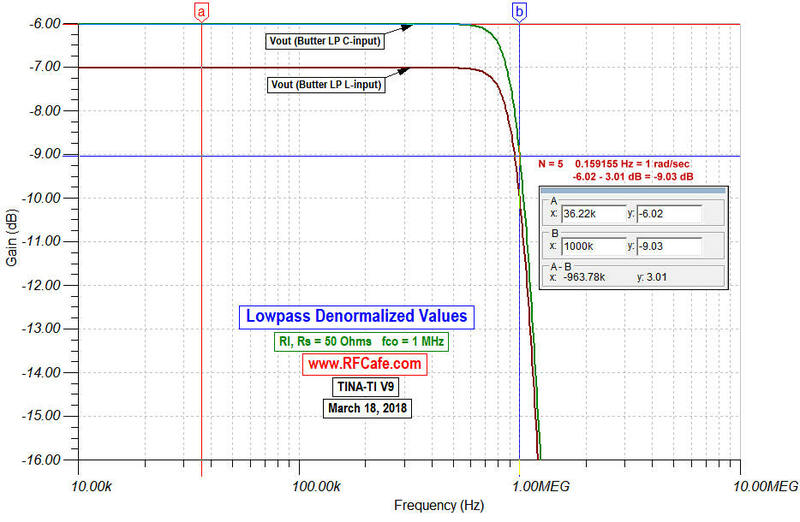 The original page pretty much regurgitated the type of presentation made by many textbooks, but this new format should make amply clear the transformation from normalized lowpass component values (1 rad/sec cutoff, 1 Ω source & load impedance) to denormalized values for any frequency and source/load impedance. My reference is "Filter Design," by Steve Winder. 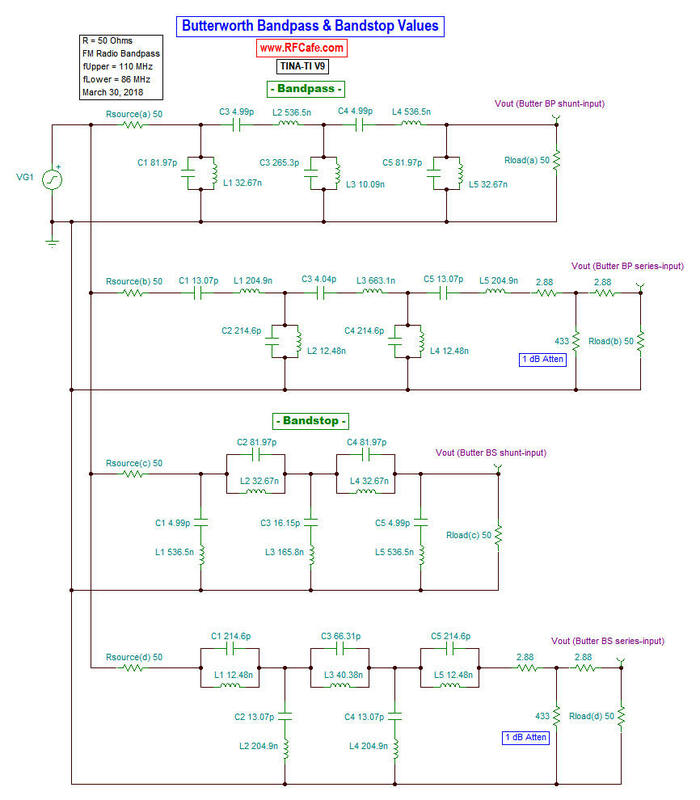 Texas Instruments' TINA circuit simulator (free download) was used with calculated component values to assure correctness. 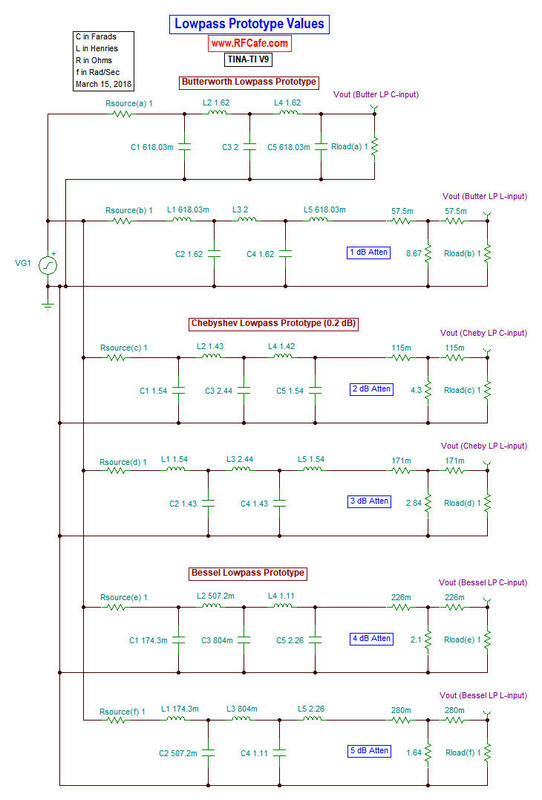 See schematics and plots to the right. 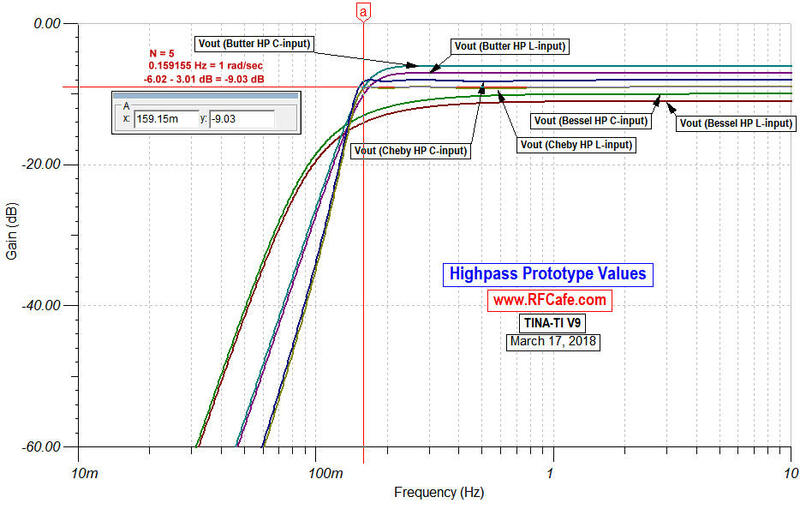 Note that attenuators were used in 1 dB increments to make plots for individual circuits distinguishable. 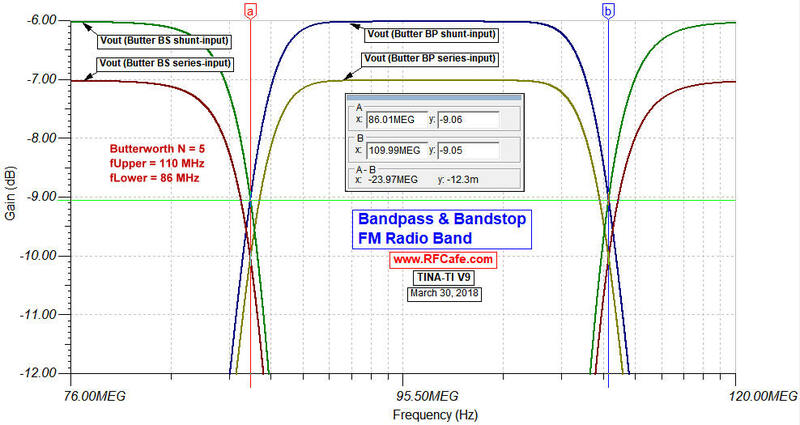 My graphic is specifically for when the source and load impedance are equal and purely resistive (R ± j0), which is by far the most typical case. 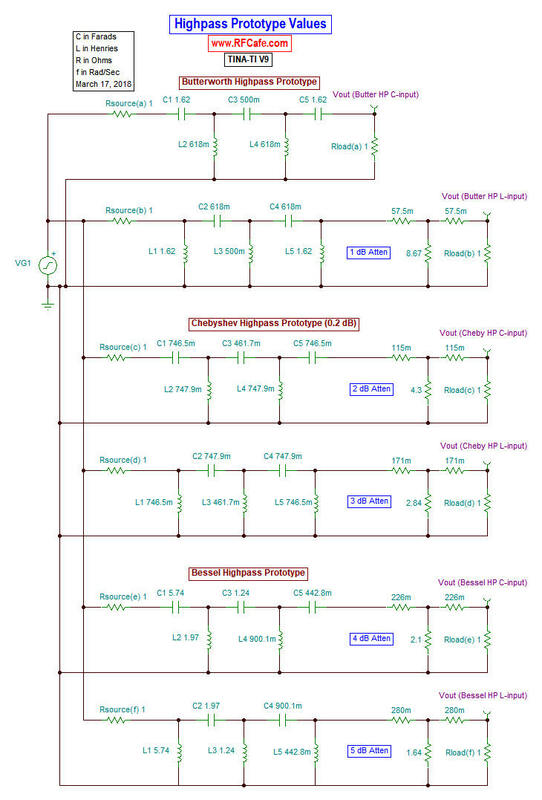 You will need to find another source for unequal and/or reactive source/load impedances. Butterworth prototype values are used in the example, but you can also get them for Chebyshev and Bessel.